This fabulous bacon is both sweet and savory. First the pork belly is flavored with sugar, cinnamon, nutmeg, allspice, ginger and cloves, the essence of apple pie. Add the smoky flavor from a slow smoked hickory wood and you've got a unique and delicious flavor. Because the bacon is uncured, there are no added nitrates added to the pork belly. Awesome as part of a cheese platter, and can't be beat atop a chicken salad sandwich. This bacon is vacuum sealed to insure the freshest top quality experience. 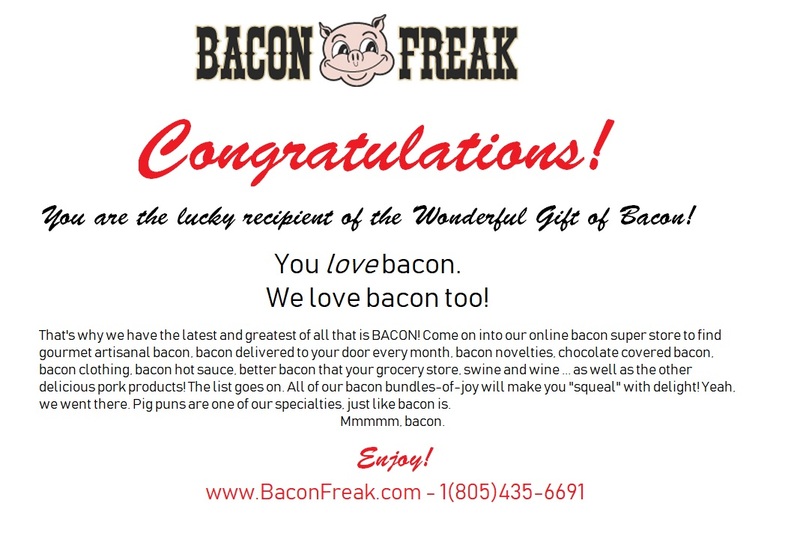 Each package contains 16 ounces of bacon.